They'll be playing Riverbend on June 16th with Buddy Guy closing the show. Note that each band will play a full set according to Riverbend's website. One of the songs in the first set of this week's blues show, Saturday, March 23rd at 11pm, is from "The Blues White Album," a tribute to the Beatles "White Album," featuring Joe Louis Walker performing "While My Guitar Gently Weeps." This song is followed by Buddy Guy's "74 Years Young." The set begins with Curtis Salgado's "Strung Out" from his Alligator release, "Soul Shot." The second set of this blues program begins with John Mayall, then Delbert & Glen (Delbert McClinton & Glen Clark), Albert King, and ends with George Thorogood and the Destroyers. 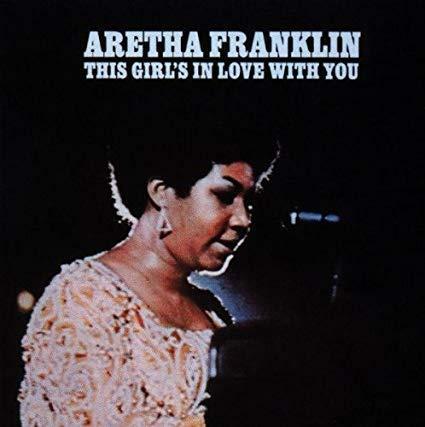 Aretha Franklin starts off the third set with "Dark End of the Street" from her "This Girl's in Love with You" album. After Aretha, you'll hear Etta James, Billie Holiday, and Johnny Adams. And, the show ends with a song by The Goshorn Brothers, "You Don't Have to Be Alone." Aretha's gospel film, "Amazing Grace," will be in theatres around the country on April 19th. A private premiere is scheduled on Monday, March 25th, on her birthday at the Detroit Institute of Arts. She passed away on August 16, 2018. WVXU celebrates the life and music of Larry Goshorn with a lively roundtable discussion and a selection of his recordings. Longtime Cincinnati musician Tim Goshorn died Saturday April 15. Goshorn performed with Pure Prairie League, The Goshorn Brothers Band, and The Tim Goshorn Band.